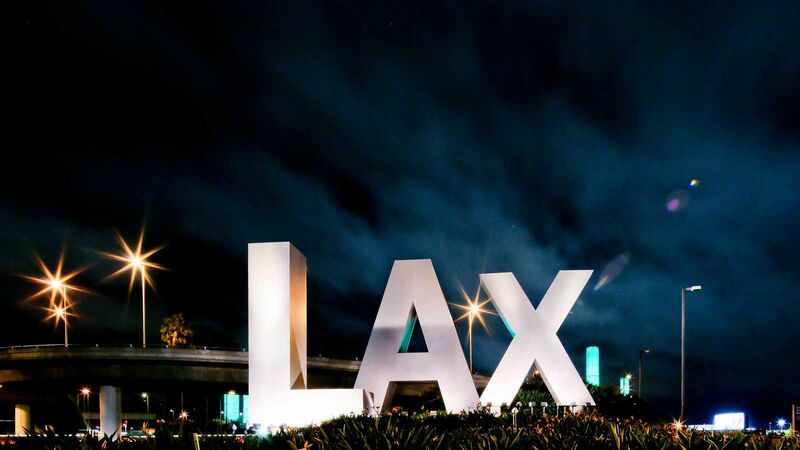 Otherwise known as LAX, this airport is located in southwestern Los Angeles, California. One of the largest international airports in the United States, as well as the largest and busiest airport in California and on the U.S. West Coast, LAX sits above the town of El Segundo, below the neighborhood of Westchester, and right next to the Pacific Ocean. In 2015, LAX saw nearly 75 million passengers pass through its terminals. It’s the seventh busiest airport in the world according to passenger traffic, third according to aircraft movements, and first as an origin and destination. (Busier airports, like Atlanta’s Hartsfield–Jackson Atlanta International Airport, see a substantial amount of their passenger traffic as layovers, as the city is a hub in several airlines’ wheel-and-spoke systems.) A hub for Alaska, America, Delta, United, and Virgin Airlines, LAX is also a focus city for Allegiant, Air New Zealand, Qantas, Southwest, Spirit, and Volaris airlines. American, followed by United, and then Southwest run the most flights from the airport. Direct journeys from LAX go to 87 domestic and 67 international destinations on six continents. Los Angeles International Airport began in 1928 as several dirt landing strips with no terminal, on land that once grew wheat, barley, and lima beans. Originally named Mines Field (after the real estate agent who arranged the deal) it was renamed Los Angeles Airport in 1941. LAX’s first structure—a hangar built in 1929—is on the National Register of Historic Places and remains in active use. Free shuttle buses connect the airport with the Metro Green Line Aviation Station, which carries passengers into downtown Los Angeles, and with the Metro Bus Center, where city buses serving the Los Angeles area are available. Private buses run to Santa Barbara, Knott’s Berry Farm, and Disneyland. LAX FlyAway buses schedule direct trips to and from the airport and the San Fernando Valley, downtown Los Angeles, UCLA, Hollywood, and Long Beach, among other destinations.